The region of Romagna thanks to its territorial structure is a perfect place to combine a sun and sea holiday" with a cultural vacation in touch with nature. During your holiday the sea will be really interesting to dedicate a few hours to explore the most in-depth of the area that surrounds you. A land of great historical echosucceeds to conciliate the frantic rhythm of the coast, with the reflection of his hilly landscapes, ready to welcome you and show you their wonders. 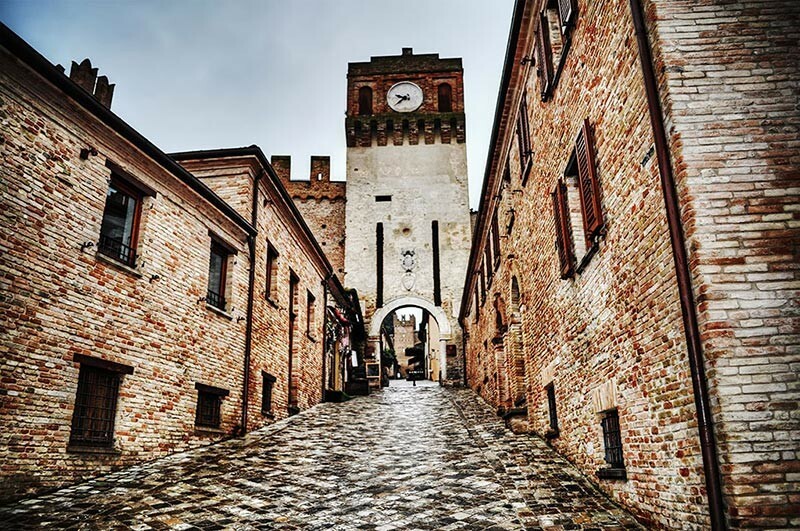 Holidays in Riviera are easy and there are a lot of places easily reachable: San Marino, Ravenna, San Leo, Bertinoro, Cesena. 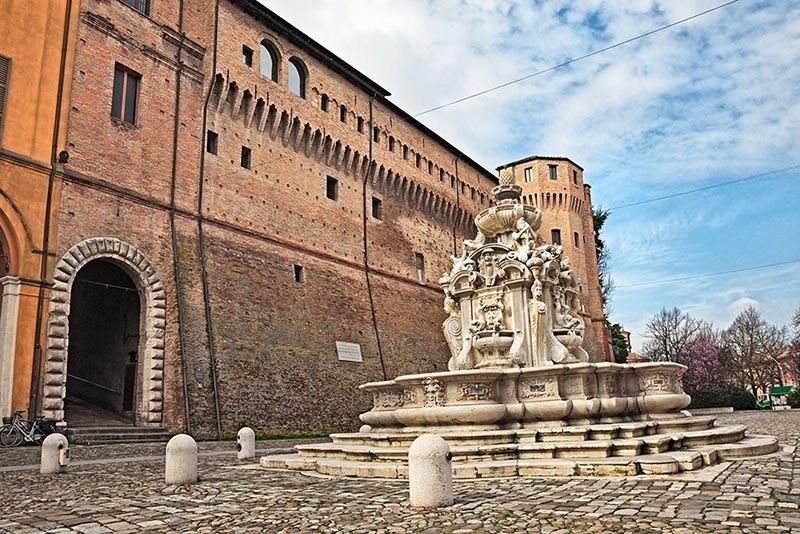 City of the Malatesta, today devotes different museums to its history, such as the Rocca Malatestiana (malatesta fortress , which today houses the Museum of Agriculture. Also famous for its town centre full of trendy shops and cafes, as well as the various gastronomic events dedicated to street food and local flavours. 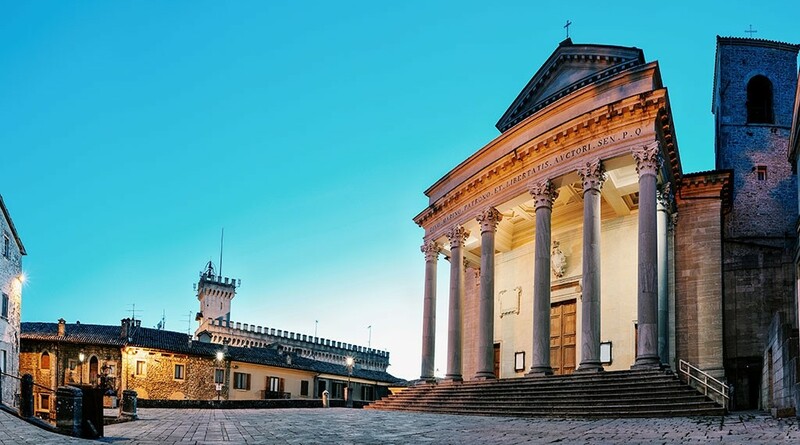 Among the things to do: visit the Malatestiana Library, unique in the world for the state of preservation with priceless manuscripts, and included in the UNESCO Memory of the world. A sharp rock surrounded by cliffs in a sloping landscape from the Apennines to the sea, a welter of old houses among a superb castle and a sharp-eyed bell tower; a weaving of history and legend, the sacred and the profane, between horrid prisons and churches: this is San Leo. 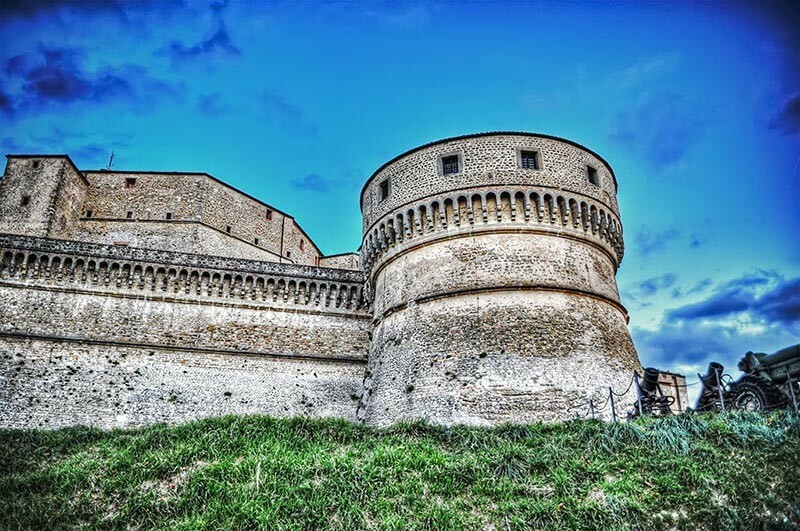 Visit San Leo is also a get involved in the history and legends of the Montefeltro. Among the things to do: visit the Fortress, where in the past he was imprisoned the Count of Cagliostro, and the Museum of Torture. Small medieval town where stands the Malatesta Castle, the seat of the most extensive collection of modern and contemporary art of the region, the "Tito Balestra Foundation". In the beautiful city are also several museums dedicated to art and territory, as the Vintage record museum, the collection of Masks of the Commedia dell'arte and the Museum of the Territory. Its splendid monuments bear witness to its role as a major political, commercial and artistic in the succession of different civilizations. The Roman Imperial period and the luminous season in which Ravenna became the centre of the Empire of the East, have left the the city, a complex of basilicas, baptisteries and mausoleums, many of which are included by UNESCO among the Monuments of world Heritage. 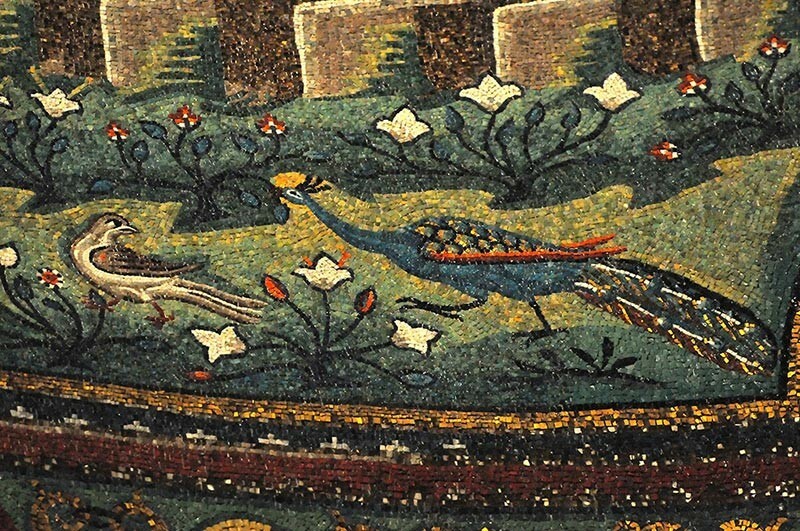 Among the things to do: let yourself be enchanted by the byzantine mosaics and visit the tomb of Dante. San Marino is a tourist destination frequented; the walk between the narrow streets full of shops, the views, the spectacle offered by the singular ceremonies of the State, are a classic to visit at least once. The monuments, the towers, the palaces, many museums and the famous medieval festivals that take place in July, which will give you deep emotions. Among the things to do: visit at least one museum, between the Museum of Torture, Wax Museum, and Museum of Curiosities. The ancient village from the air, fairy-tale and ancient is the setting of the legend of Paolo and Francesca, sung by Dante. To stroll through its streets, to the Fortress impressively illuminated and surrounded by old oak trees, is an experience not to be missed. Among the things to do: take a stroll on the city walls, visit the Fortress, wander among the shops of the historic center.